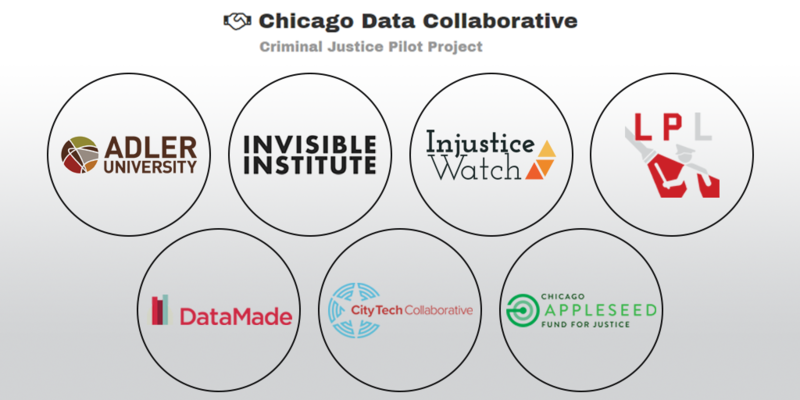 Earlier this week the Chicago Data Collaborative quietly launched a website offering first of its kind access to local criminal justice data. Information about Chicago police stops and arrests, Cook County State's Attorney's Office charges, and Cook County Jail demographics is already public in theory, but it's often costly and time-consuming to access. Getting that info sometimes requires trips to special computer terminals at county offices or protracted negotiations with FOIA officers. Some documents and data, particularly those that relate to police activity, haven't been released until lawsuits compelled authorities to release them. Until now it's been difficult to connect the dots between data sets about the same person or case buried among various city and county agencies. The Chicago Data Collaborative—a cooperative of news outlets, transparency advocates, and research groups—will pool this data so that individual cases can be tracked throughout the web of the local criminal justice system, from a person's first encounter with police to the final outcome of a case in court. Currently the connected data is accessible to individuals and organizations who become members of the collaborative. It's free to join, but the groups who initiated the project—including Injustice Watch, DataMade, the Invisible Institute, and Lucy Parsons Labs—will evaluate every applicant and ask that they agree to a code of conduct regarding the data. Those who want to become members must agree not to publicly disseminate the personal information of the private citizens in the database and pledge not to release the data pooled by the collaborative. Within the next three months the group will also open a free online portal in the style of the Invisible Institute's Citizens Police Data Project in which case-level data will be scrubbed of personal information about arrestees or defendants in criminal cases as well as named witnesses. Information about the public officials involved in these cases, such as arresting officers or prosecutors, will still be available. "Our data includes information about people who have reported crimes, who have been accused of crimes, who are currently being processed by the criminal justice system," says Forest Gregg, a partner at DataMade. Even though the data is technically public, he adds, the collaborative isn't interested in making it easier for individuals' entanglements in the criminal justice system to be accessible through simple Internet searches. "These are still private individuals. Sharing data for individuals that have been caught up in the criminal justice system can be really harmful." As an example, Gregg points to websites that publish people's mugshots and then demand money from those who request that a photo be removed. The collaborative's goal is to make it easier to understand the workings of local law enforcement authorities and to help researchers and the media avoid doing redundant data-acquisition work. Gregg adds that the membership structure will also give the people and entities actually collecting the data—from the Chicago Police Department, the clerk of the circuit court, the state's attorney's office, and the sheriff's office through FOIA, lawsuits, or their own scraping programs—a head start in processing the pooled data for research or publication. The collaborative aims to work only with data that is or should already be available to the public, rather than striking the kind of exclusive data-sharing agreements that often power academic researchers' work with the criminal justice system. "We're getting this through FOIA or we're getting this though existing public data facilities," Gregg says. "The co-op doesn't have any data-sharing agreements with these agencies, and I doubt that we ever will. The people who are beginning members of this collaborative are journalists and advocacy organization that have complicated relationships with agencies but definitely don't want to be in a position where they're dependent on the agency to continue giving them data access." Cases threaten to undermine Illinois’s efforts at juvenile justice reform. But options for blocking biggest cop data dump in history are dwindling.